VR1 Racing 5W-50 is a premium high performance full synthetic motor oil for passenger cars. 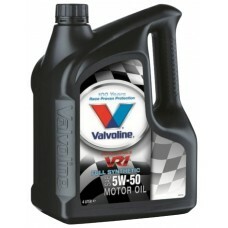 It is specially formulated for ultimate performance in turbo and non-turbo charged petrol engines. Extra additives resist extreme operating conditions during rallying and racing. Suitable for both turbo charged and non turbo charged petrol engines.